Optional excursions to Paris and Chantilly are also available to participants. The faculty includes poets Rita Banerjee and Diana Norma Szokolyai, fiction writer Jessica Reidy, and yoga instructor Elissa Lewis. The cost of the conference is $3,200, which includes lodging, meals, writing workshops, yoga classes and transportation to and from the airport. 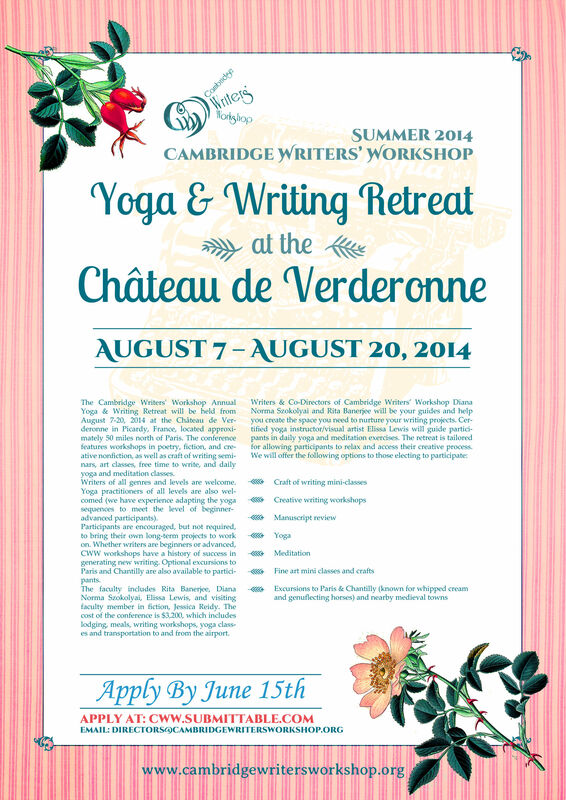 Writers from all countries are welcomed to apply for the Cambridge Writers’ Workshop 2014 Yoga & Writing Retreat at the Château de Verderonne in Picardy, France. Yoga practitioners who have writing goals are also encouraged to apply. 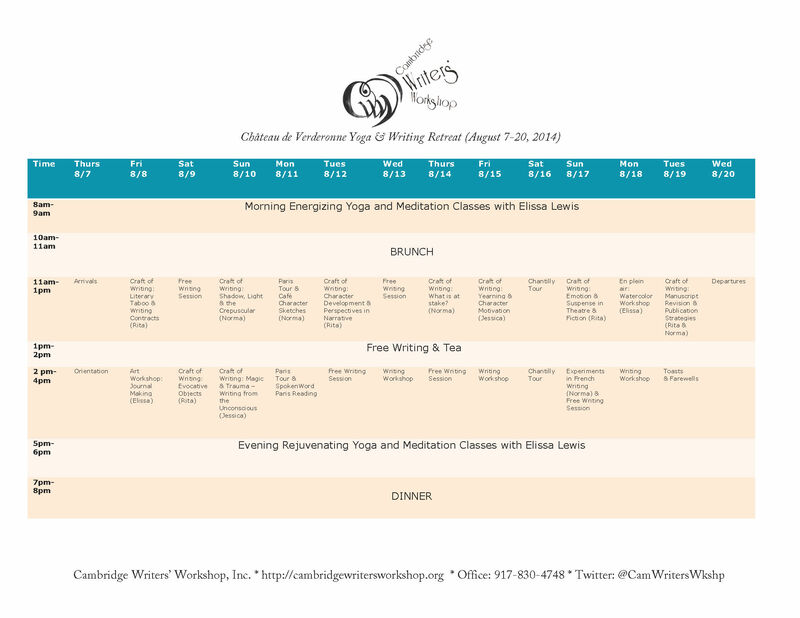 If you have any questions about the writing sample or are worried about not having a writing sample, please email the CWW Directors at directors@cambridgewritersworkshop.org or give us a call (917) 830-4748, and we will address any questions or concerns.